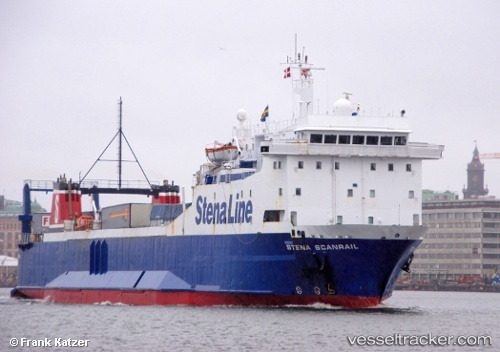 The "Stena Scanrail" has been sold to a Turkish shipping and renamed "Birdeniz" to sail in the eastern Mediterranean Sea. While many companies are about to convert their vessels so they can go on filling gas, LNG, Stena Line rates on methanol. Initially, the Line tests dimetyleter, DME produced on the basis of methanol, onboard the ferry Stena Scanrail. "We consider methanol as a viable alternative to LNG. Methanol can be transported like an ordinary fluid, and hence we can use the existing infrastructure, tankers and storage tanks, "says Claes Berglund, responsible for social and environmental concerns in Stena Line, to Nyteknik.se "This is the first attempt to use methanol as a fuel in a marine environment, but eventually we hope to be able to use methanol to drive the main engines," says Claes Berglund. It is expected that Stena Scanrail trading between Gothenburg and Frederikshavn, will start testing DME during April 2013. Stena Line estimated that 25 out of the company's 34 ferries can be converted to methanol. The "Stena Scanrail" had a hard landing at Frederikshavn in the afternoon of May 17, 2011. The ferry struck the quay with great force and suffered two holes in the hull. Staff from the Orskov yard quickly welded a steel plate of 2x3 metres over the holes which were above the waterline so that the "Stena Scanrail" was authorized to resume the voyage to Gothenburg.